Legislation has been rushed through both houses of State Parliament to prevent his release. 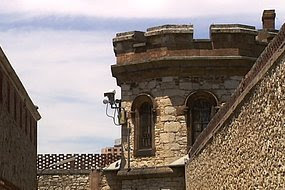 A convicted murderer who argued he should be entitled to automatic parole has had his application dismissed by the South Australian Supreme Court. Shane Andrews was jailed for a shooting outside Aberfoyle Park primary school in Adelaide, in 1991. He took the SA Government to court because he was sentenced before 1994 under laws not requiring an application to the Parole Board for release. The Government legislated recently to close the loophole. Andrews had applied to the Court of Criminal Appeal because he was sentenced before 1994, when laws were changed requiring prisoners sentenced to terms of five years or longer to apply for parole. The Full Court of the Supreme Court has now ruled that the change puts the intention of the law beyond any doubt. Quote: Retrospective legislation rushed through parliament to prevent a prisoner being granted parol and to change laws after his/her conviction is wrong. People in jail ought to be given the benefit of the law at the time they were sentenced. A convicted murderer who has appealed for automatic release on parole will remain in prison in South Australia.